A very basic, bare-bones hydration carrier. Posted in Civilian, Miscellaneous Equipment, Short Trip, Specialist by 22F with no comments yet. A scaled-up version of the classic tri-zip 3 Day Assault Pack, for slightly larger loads, or longer periods out in the wilds. Posted in Military, Mystery Ranch, Packs & Webbing, Short Trip by 22F with 6 comments. A small, lightweight top-loading daypack that is intended to perform double duty for work and play. Posted in Civilian, Military, Packs & Webbing, Short Trip by 22F with 2 comments. The smallest assault pack in the Mystery Ranch line-up. The Spartan is designed for small, confined spaces and being able to easily access the interior of the pack. Posted in Military, Mystery Ranch, Packs & Webbing, Short Trip, Specialist by 22F with no comments yet. 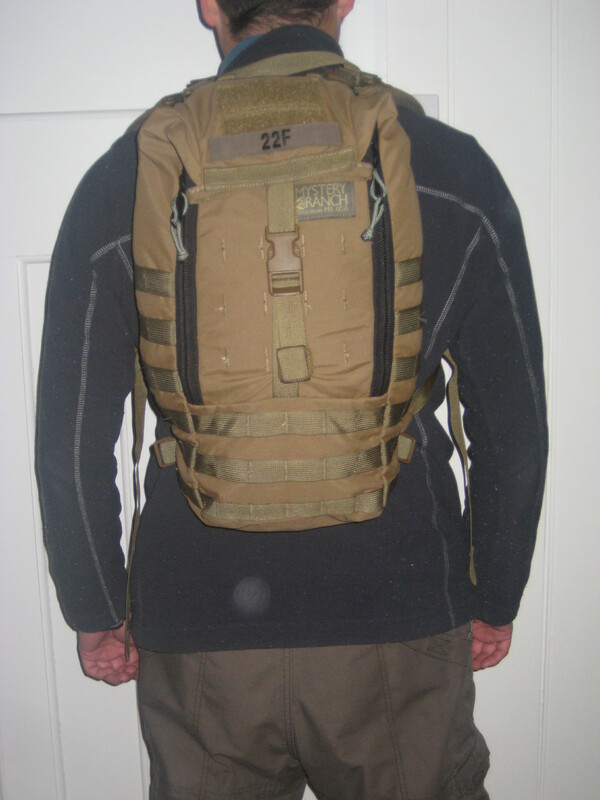 A tri-zip assault pack, for up to 1-day use. The harness system is designed to be attached to combat body armour should the need arise. It could be described as a smaller and simpler version of the same company’s 3 Day Assault Pack. Posted in Civilian, Military, Mystery Ranch, Short Trip, Specialist by 22F with 5 comments.